Here is your chance to own one of the Coveted Luau Units that has a lockout floorplan. 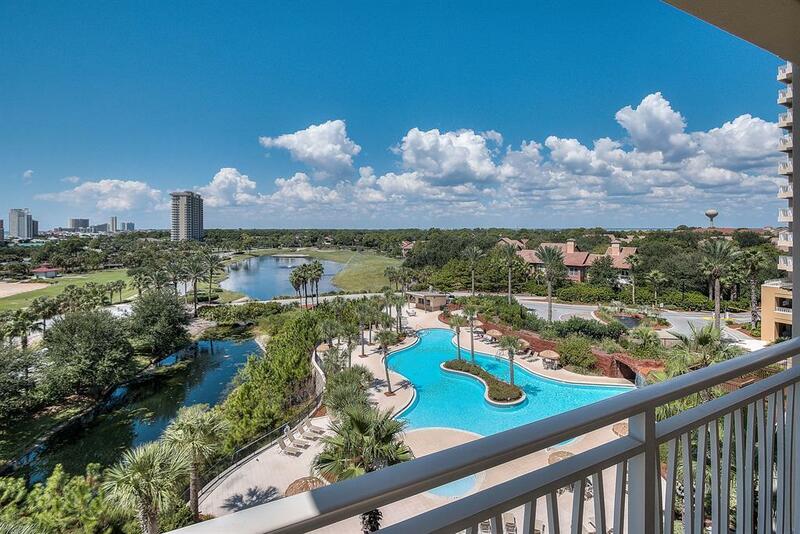 2-bedrooms, 2-bath, facing southwest overlooking the pool, golf course, Gulf of Mexico, and acres of the Prominent Sandestin Resort.Luau's amenities include but are not limited to the following: a fitness area, a 40,000 sq. ft. saltwater swimming pool with a swim-behind waterfall, and a hot tub. Owning your piece of paradise at the Luau will give your family memories to last a life time and having this Rental Machine will greatly increase your Financial Portfolio.